Man O’ War Stairs today is a peaceful place to watch the harbour, under the gleaming white ‘sails’ of Sydney’s Opera House. Yet Man O’ War Stairs has seen its share of tragedy. When we visit the Opera House today, chances are we are there to soak up the culture and atmosphere of this astounding building. With its gleaming white ‘sails’ and world renowned concert experiences, it is an attraction in and of itself. Yet it is a relatively recent addition to Bennalong Point and the site has a fascinating history prior to the Opera House being built. 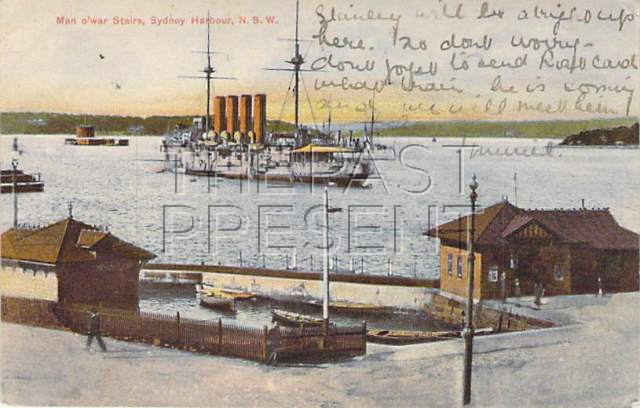 Man O’ War Steps, pictured in this postcard image (the postcard was posted in 1918) are on the Eastern side of Bennalong Point behind the Sydney Opera House, and were built as a landing point for the Australian Navy, serving for 150 years as the place where navy men left the city to see active service. Those who survived, returned to the city by the same place. 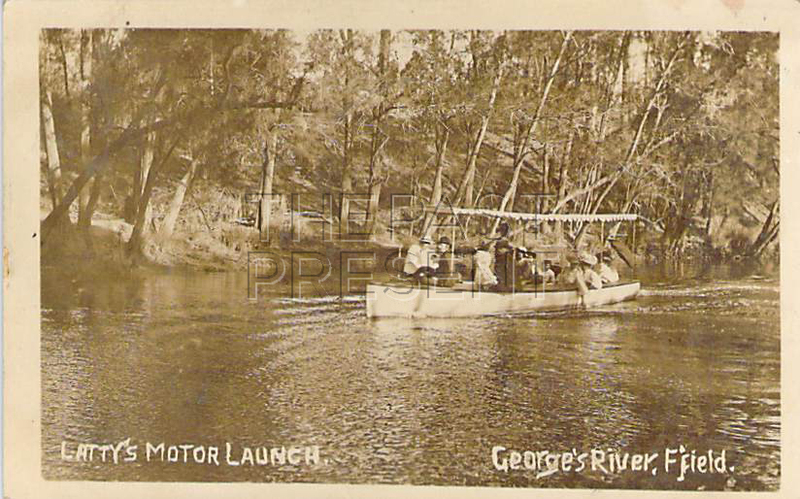 This postcard, which carry’s the message “My dear Kid, one x is my house, what do you go on it, this is where we are at present, the other x is where we came ashore. Love to all, Willie” may well have been sent by one of these servicemen. Yet war is not the only tragedy which is echoed in Man O’ War Steps. 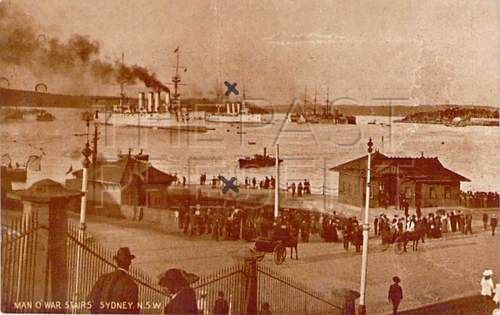 Come back next week to learn about the tragic role of Man O’ War Steps in one of the greatest maritime disasters to take place on Sydney Harbour. Today, as we traverse the various areas of Sydney, moving as quickly as possible from one area to another, we little think about the difficulties of creating some of the roads which we use. 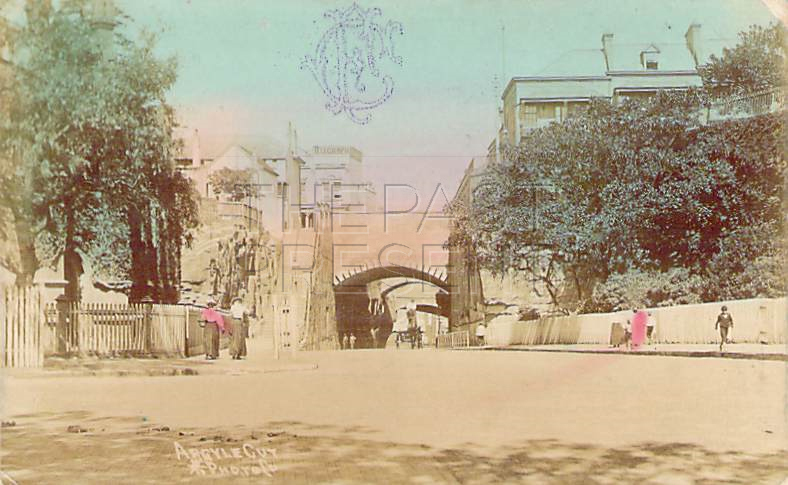 The Argyle Cut, pictured in this postcard image (from a postcard sent in 1919) is the major link in the road connecting Darling Harbour and Sydney Cove and took 20 years to complete, at great expense and even risk to life, yet as we pass through the Cut, few of us think about its history. Although the Argyle Cut itself wasn’t begun until 1840, Argyle Street had existed in some form since as early as 1807. The road was officially built in 1810 and ran between George Street and the sheer rock face which later became the Argyle Cut. Here the road stopped, and a set of stairs carved into the cliff face had to be used to reach Cumberland Street by foot. From there people could then reach Millers Point and Darling Harbour (then Darling Island) but they had to complete part of the journey on foot, making it impossible to move vehicles and cargo directly between Sydney Cove and Darling Harbour. Those wanting to move between Sydney Cove and Darling Harbour by vehicle though had to take the long route around either by the North or the South. With Darling Harbour and Sydney Cove being hubs of activity, it was not long before a more efficient way to travel between them became a priority and in 1840 a team of convicts were set the task of excavating a tunnel through the rock at the end of Argyle Street to Argyle Place. When the supply of convicts dwindled work stopped for a time, but the tunnel was completed in 1859 using paid labour and gunpowder. The rock which was excavated was used in building the early stages of Circular Quay.